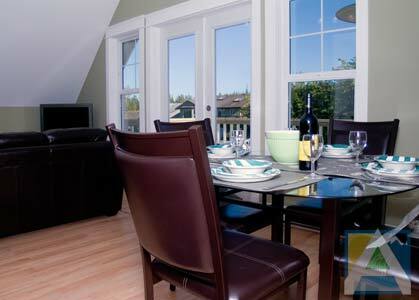 Tofino Beaches View is a spectacular, newly constructed upper level suite featuring 2 bedrooms. 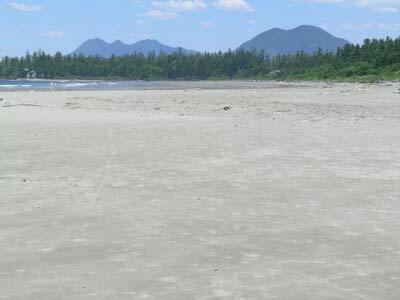 Tofino Beaches View is perched over Tofino Inlet offering views of Mears Island, the Marina, forest and ocean vistas from the back of the home. 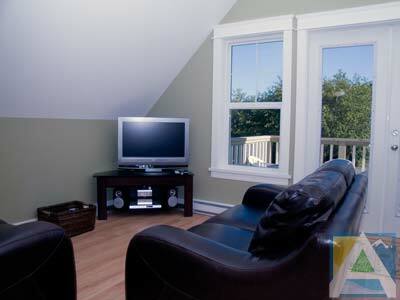 This upper floor resort style suite has a very cozy feel. At the top landing you have the living area and kitchen to your right and the two bedrooms and bathroom to your left The living room comes complete with a wide screen TV, DVD and stereo. The kitchen is very efficient with everything within arms length and the dining area is conveniently located next to the serving counter. 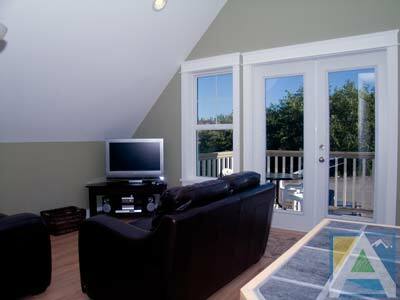 The room is bathed in natural light from the large windows and double french doors that lead out onto your private deck overlooking the quiet street. 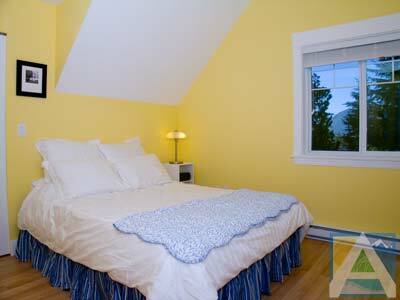 The two bedrooms at the back of the unit offer views of Tofino Inlet and have large walk in closets. 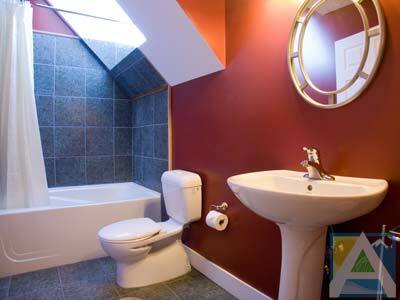 The beautiful bathroom features a large skylight over the bath so you can watch the stars while you relax. 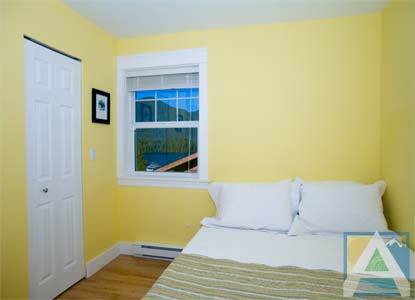 This upper unit is the best Tofino has to offer in well priced, short term furnished rentals and is a brand new listing. 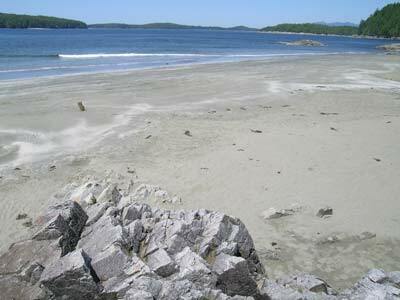 Experience Tonquin Beach, Mackenzie Beach, Chesterman Beach, and Long Beach all within minutes drive from the suite. 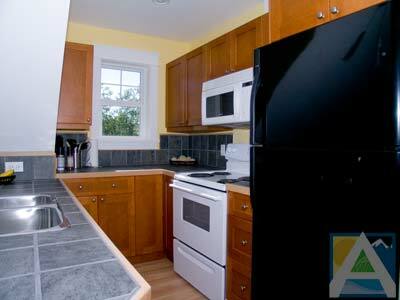 Call today, this unit is booking quickly.